An earthquake in Cornwall? Who knew? 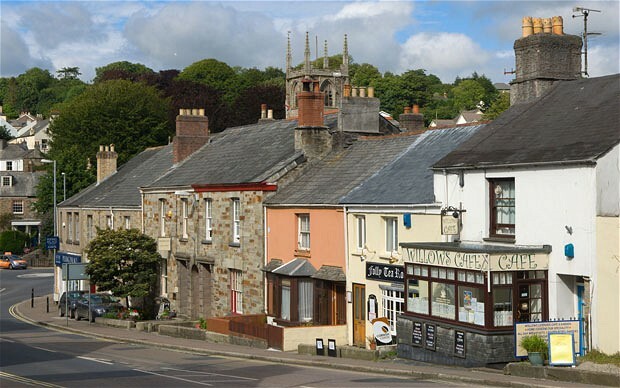 Well, apparently they do happen – and one struck the town of Bodmin early Sunday morning, registering 2.2 and lasting a few seconds, according to news reports. Posted on 5, December 2011, in News and tagged Bodmin, Cornwall, earthquake, L.A. Story. Bookmark the permalink. 2 Comments. 2.2? I’ve been basically on TOP of the epicenter of a 3.0 and it was just a jolt. I didn’t think you could even feel a 2.2. Richter scale schmichter scale. It’s all about the g-force that the quake puts out. You can be ontop of a 7. But it can be miles deep! The quake in NZ last febuary was only a 6, but only a couple of km deep. And the force was greater than 2g – is it any wonder the city fell? It was like bouncing on a trampoline wrong!